Caleb Mason, a book lover in Portland, starts publishing ebooks because they increase readers’ access. Caleb Mason has a theory: College professors all over New England – all over the country, for that matter – have manuscripts tucked away in their desk drawers that they haven’t touched in years, maybe decades. Mason expects the presence of Cooney on his roster of published authors will increase visibility for Publerati as well as its credibility. His goal is to publish 10 to 12 books a year. As an ebook publisher, Mason publishes only electronically, and only works of fiction that capture his interest. He receives about 25 manuscripts each week. Publerati books are available on the popular platforms, including Kindle, Nook and iPad. Mason, who turns 57 next month, is uniquely qualified for this business venture. He has worked in the book retail trade, the publishing business and the technology sector. FOR MASON, the light-bulb moment occurred two years ago. He was traveling on a plane with the Charlotte Bronte novel “Jane Eyre” in hand. He had just seen the movie, and was interested in re-reading the novel, so he packed it to travel. Seated on the plane, Mason struggled to stuff the bound volume in the pocket of the seat in front of him. Meanwhile, a woman next to him was conveniently reading an ebook. Mason was frustrated. The woman was amused. They shared a laugh over their contrasting experiences. “It was, ‘Oh, my god, I’ve got to figure out how to do something about this,’ ” he said. With his background in publishing and technology, Caleb felt comfortable navigating the world of electronic books. An English major at Tufts University in Boston, Mason began his career at the Book Exchange on Charles Street on Beacon Hill. It was a retail job, and he learned the tactile joy of books. He loved handling them, enjoyed talking about them and appreciated the relationships readers and writers forged with the printed volume. That led to work at the then-Boston-based publisher Little, Brown, where Mason worked first in marketing and later in editorial. When he left Little, Brown in 1984, he and a small group of colleagues began Salem House Publishers, which they built from nothing. But his experience at Salem House left a bitter taste. The company merged with HarperCollins, and Mason was out of a job. He moved to Maine and began working in technology. He worked at Konica, where he was involved in the early stages of digital photography, and at DeLorme, where he immersed himself in consumer software. THESE DAYS, MASON has a day job that pays the bills. Publerati is still in its infant stages. Mason has high hopes for his company, but he’s not making his living with it. Mason has built an altruistic element into his work. Publerati contributes a portion of each sale to encourage global literacy. He has teamed with the Worldreader Organization, which provides e-readers to children and teachers in Africa. Sterling is one of those college professors with a novel in the drawer whom Mason is so keen on recruiting. She began writing her manuscript in 1990, and although there were many years she did not work on the book at all, she never quite put it aside. Set in fictional Three Rivers, which is modeled on her hometown of Waterville, Sterling’s novel explores a family’s secrets after the unexpected death of the father. It is a contemporary novel that’s set in Maine, New Hampshire and the Midlands of England. Sterling, who taught English at Colby College, admits being somewhat skeptical of ebooks at first, and hopes to see “Dancing in the Kitchen” in print someday. She still hungers for the feel of a printed, bound book. STERLING TELLS an anecdote from this past summer that sealed her faith in ebooks. She was on a panel discussion at a writer’s conference, debating print vs. online media. “Right in the middle of the caucus, one of the writers, a poet whom I didn’t know, downloaded my novel onto his Kindle and announced to the group that he loved the opening. It was a perfect demonstration of what we’d been talking about,” she wrote. “The ebook format also invites immediate communication, particularly for readers with tablets. I’ve had friends send me emails in the middle of the night and from a rock on the edge of a Maine lake. I love that. Mason also appreciates the printed book – indeed, it’s part of his personal and professional legacy. He’s interested in ebooks because he believes in them and thinks they have a promising economic future given the declining market for printed books. But he does not believe printed books will go away, nor does he believe brick-and-mortar bookstores will go away. We’ve already seen the decline of the big chains, but local booksellers are hanging on, Mason said. He hopes and expects that they will do more than hang on, and return to earlier time when they were magnets for social discourse. We’re seeing that in Portland at Longfellow Books, he noted. 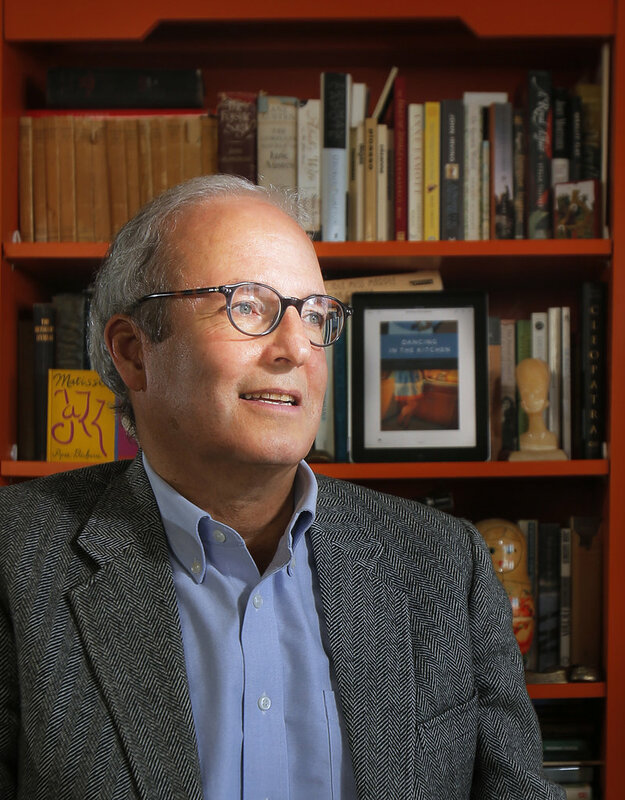 Just as the Book Exchange on Beacon Hill was a hub for the Boston literary community, local booksellers serve an important role as a gathering place for an exchange of ideas, Mason said. “The independent bookstore will become the social center in town and survive this change,” he predicted.